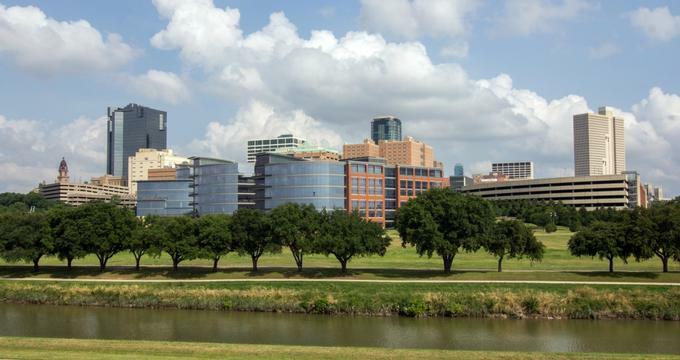 Fort Worth is home to a wide variety of restaurants, cafés, bars, and eateries with an up-and-coming food culture. The Texan city caters not only to foodies but to their four-legged friends as well, with plenty of restaurants that welcome dogs with gusto. 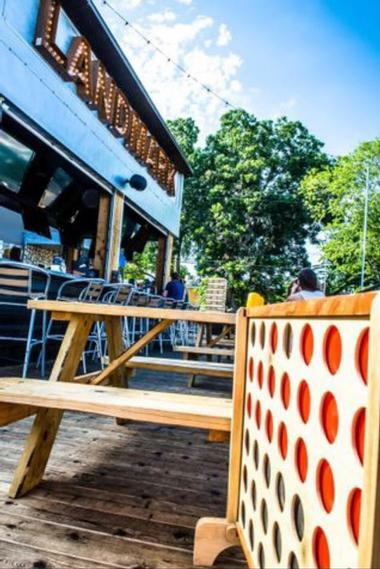 From neighborhood cafés and casual pubs to upmarket restaurants and taverns, many have outdoor patios and terraces where patrons can enjoy a great day or night out with their pups at their feet. Here are some of the top dog-friendly restaurants in Fort Worth where your dog would be welcomed. Brewed is an alluring and unique establishment that serves all things brewed, including freshly brewed coffee and locally brewed beer. Using locally sourced ingredients and the best of local and regional products, the restaurant serves all-day breakfast, lunch, and dinner in addition to freshly baked pastries, coffee, tea, locally brewed beer, and regional wines. Tuck into fresh salads, homemade soups, small sharing plates, hearty entrées, or an all-day breakfast of eggs, bacon, pancakes, waffles, and more. Brewed welcomes dogs in their outdoor patio section and is open Tuesday through Sunday. 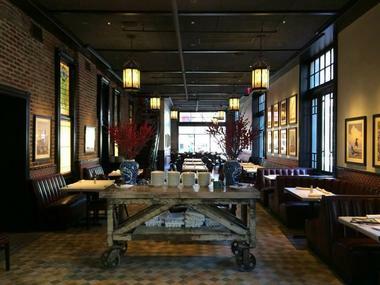 Located in the historic Land Title Building on Fort Worth’s famous Sundance Square, the Bird Café is a contemporary gastropub with unique bird-themed décor that serves New American small plate cuisine. Created by noted restaurateur Shannon Wynne, the café is a chef-driven restaurant that focuses on delectable shared dishes, such as mussels, pot pies, and small gourmet specials, along with excellent wines, craft beers, handcrafted cocktails, and other drinks from the full-service bar. The split-level eatery boasts over 6,400 square feet of indoor space and a lovely 2,300-square-foot patio area around the outside of the eatery overlooking Sundance Square, which welcomes dogs. 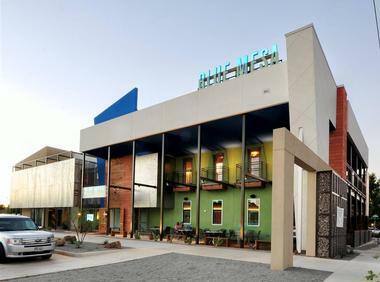 The Blue Mesa Grill is a family-friendly restaurant with several locations around the state that offers a casual dining experience of delicious, locally sourced food in an artful atmosphere. Open for brunch, lunch, and dinner, the restaurant serves contemporary American dishes with a Mexican twist, such as tortilla soup, nachos and tacos, fresh salads, hot rock fajitas, enchiladas, and specialty plates such as mixed grill churrascarias and chimichurri. A full-service tequila bar offers a variety of signature tequilas served with free quesadillas, and the restaurant hosts tequila-related events throughout the year. 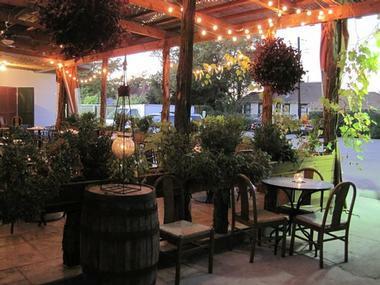 The Blue Mesa Grill has comfortable indoor and outdoor seating where dogs are welcome to join their humans. 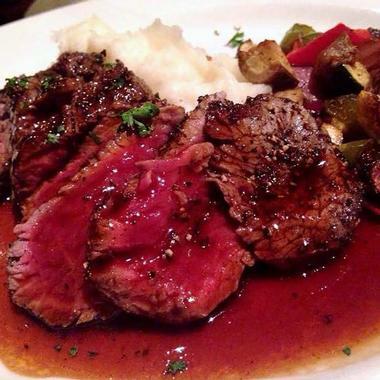 Buffalo West is a classic steakhouse in the heart of Fort Worth that serves prime-cut, hormone-free steaks along with a variety of other steakhouse specials, salads, and libations. 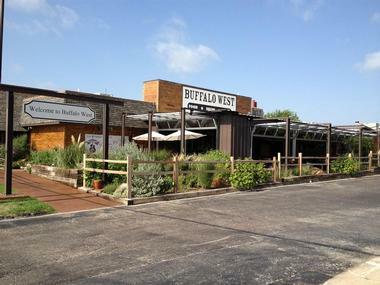 Located in Camp Bowie West, Buffalo West uses locally sourced products and ingredients, including beef from sustainable farms that emphasize livestock health and responsible pasture management. The restaurant has a fresh salad bar and offers daily specials throughout the week, while the full-service bar offers a variety of craft beers, fine wines, cocktails, and soft drinks. The Buffalo West hosts an array of events throughout the year and is open for dinner seven days a week and Sunday brunch. 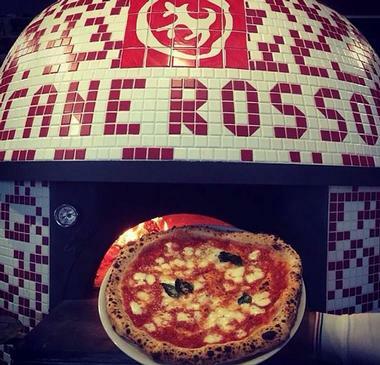 Cane Rosso is a chain of family-friendly pizzerias around Texas that serves authentic wood-fired Neapolitan pizzas and a variety of other Italian-inspired cuisine in a casual, relaxed atmosphere. The restaurant had humble beginnings as a mobile pizza operation and has grown into a burgeoning business across the state, with outposts in both Houston and Austin. Led by certified Master Pizzaiolo and Executive Chef Dino Santonicola, Cane Rosso offers an authentic Italian dining experience with mouthwatering traditional Italian dishes prepared with the freshest local ingredients, including handmade dough and mozzarella made in-house daily. The outdoor patio seating area of the Fort Worth branch allows dogs to join and the restaurant is open for lunch and dinner seven days a week as well as weekend brunch. Chadra Mezza & Grill serves authentic northern Lebanese in a welcoming atmosphere. Owned by Lebanese-born Nehme William Elbitar, the restaurant offers a menu of delicious traditional Lebanese cuisine infused with Mediterranean flavor in the form of small sharing plates of mezze like hummus, baba ganouj, muhummara, tabouli, and falafel, followed by hearty entrées such as maaloula, zaatar chicken, kebabs, kofta, and shwarmas. The delicious cuisine is accompanied by a selection of fine Lebanese wine and beers, and the restaurant offers a catering menu for special events and functions. Chadra Mezza & Grill serves a lunch buffet Monday through Saturday, lunch and dinner Wednesday through Saturdays, with pizza and pasta nights on Wednesdays, and is closed on Sundays. 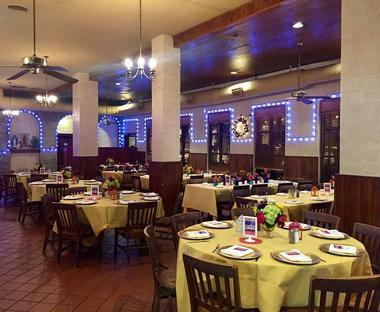 Following in the footsteps of the original Joe T. Garcia's Mexican Restaurant founded by Joe T. Garcia in 1935, Esperanza's Mexican Bakery & Café offers an authentic Mexican dining experience in the heart of Fort Worth. Boasting two locations in the city, on North Main Street and Park Place Avenue, the family-friendly restaurant serves traditional Mexican cuisine using some of the Garcia family's most delicious family recipes. Open for breakfast, lunch, and dinner, the eatery also has an adjacent bakery that offers freshly baked bread, pastries, and sweet treats as well as a catering menu for special events and functions. Esperanza's Mexican Bakery & Café on Park Place Avenue has comfortable outdoor seating where dogs are welcomed. Founded by four friends who wanted to create an establishment that served great food and excellent beer where people could gather to socialize and relax in a casual, laidback environment, HG SPLY CO is just that. Boasting two locations in Fort Worth and Dallas, the family and dog-friendly neighborhood pub-style eatery is open for lunch, dinner, and weekend brunch and serves a menu of classic and contemporary cuisine. The menu features favorites such as burgers, gourmet sandwiches, bratwurst, and pork tacos along with freshly prepared salads, sharing baskets and plates, house bowls, hearty entrées, and decadent desserts along with an expansive selection of libations from the full-service bar. Dogs are welcomed at HG SPLY CO, with comfy outdoor seating where patrons and their pooches can relax. One of the original bars in Fort Worth's West 7th area, the Landmark Bar & Kitchen is a casual bistro-style eatery and bar that serves a selection of artisan and craft beers and small plates and snacks in a laidback, relaxed atmosphere complete with vintage arcade games and a mechanical bull. The kitchen produces delicious bar food, such as burgers, burritos, nachos, and pizza, and the full-service bar offers up a variety of carafe cocktails, signature fishbowls, and an array of beers on tap and by the bottle. Entertainment ranges from DJs playing live music and a mechanical bull to vintage arcade games such as Super Mario Bros, Donkey Kong, and more, and the bar is home to West 7th's largest patio, which welcomes dogs with a water bowl and treats. 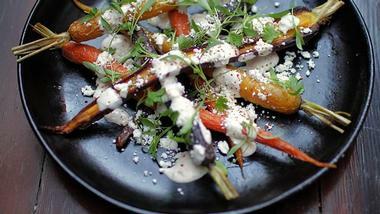 The Landmark Bar & Kitchen is open for drinks and snacks in the evenings seven days a week. The Lazy Dog Restaurant & Bar is an upscale casual dining chain with an innovative menu that marries fresh flavors with comforting and familiar tastes and an extensive beverage program. Boasting locations around the country, the family-friendly restaurant serves delicious cuisine created using only the freshest local ingredients and products, prepared from scratch. The full-service bar offers an array of libations from artisan and craft beers on tap and by the bottle to local and regional wines, handcrafted cocktails, and imported spirits, all of which can be tried and tested during happy hour specials throughout the week. The Lazy Dog Restaurant & Bar welcomes dogs with a large patio and outdoor seating and a special doggie menu of wholesome brown rice and grilled chicken breast or hamburger, and on the weekend offer buzzing sports nights with large screen televisions as well as lazy Sunday brunches. Lili's Bistro on Magnolia is a quaint little bistro-style café with brick-lined interiors, comfortable sidewalk seating, and an elegant piano bar. The restaurant serves a menu of simple, global cuisine for lunch and dinner, including inventive and eclectic eats such as homemade soup, award-winning Gorgonzola fries, burgers and fries, toasted ravioli, prime steaks, fresh seafood, and freshly prepared salads. The full-service bar serves a variety of artisan and craft beers, easy-drinking white, red, rosé, and sparkling wines, and the café hosts live music every night. Dogs are welcome to join their humans at the sidewalk seating outside the café, which is open for lunch and dinner seven days a week. Little Lilly Sushi is a cozy café-style eatery that offers freshly prepared sushi, nigiri, and creative Japanese entrées along with sake and wine in a classy, stylish environment. The small yet innovative sushi menu features favorites such as sushi, sashimi, and specialty rolls along with nigiri, maki rolls, hearty entrées such as wagyu beef and chicken, and specialty dishes such as tako sunomono and tuna tataki. The chef’s specials are listed on a chalkboard and change daily, and an intimate patio has outdoor seating where pooches are perfectly welcome. 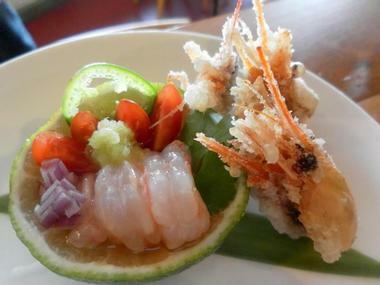 Little Lilly Sushi is open for lunch and dinner seven days a week. 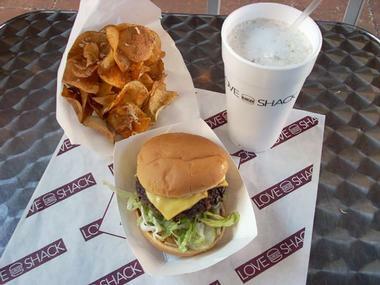 Located in Fort Worth’s historic Stockyards District, the Love Shack is a vibrant double-story spot that hosts live music every night and features an outdoor patio that welcomes dogs. 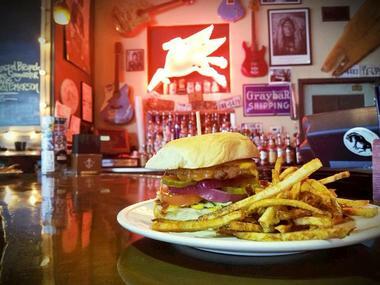 The dynamic café-style eatery serves a menu of inventive contemporary cuisine, such as made-to-order Texas Angus burgers and fries, hot dogs, spicy nachos, and hand-cut onion rings along with libations such as root beer on tap, freshly squeezed lemonade, milkshakes, and a full craft beer and wine menu. The Love Shack can be used for private events and functions, with an open courtyard and seating for up to 150 guests as well as a smaller area known as The Love Shack “Wing,” which can accommodate up to 20 guests, and the Love Shack patio, which overlooks Exchange Street and can seat up to 35 guests. Situated in the energetic West 7th Cultural District just a couple of miles west of scenic downtown Fort Worth, the Magnolia Motor Lounge is a garage turned live music venue that offers a laidback vibe with live music, classic American cuisine, and an extensive bar menu. Open from lunch until late seven days a week, the neighborhood destination spot attracts music lovers from all corners of the state to enjoy great music, food, and beer in a laidback and relaxed environment. The versatile venue can comfortably accommodate crowds up to 1,000 people and boasts a demanding 7-nights-a-week schedule as well as serves a menu of innovative all-American cuisine and a wide variety of craft beers, cocktails, and wine. The large outdoor venue is dog-friendly, and pooches are welcome to join the fray. MASH'D is a laidback neighborhood café, bar, and eatery that serves as a casual gathering spot for locals and visitors to come and enjoy good food and moonshine drinks in a relaxed, easy-going atmosphere. Open for lunch, dinner, and weekend brunch, MASH'D serves a variety of delicious, healthy cuisine ranging from freshly prepared salads and soups, gourmet sandwiches, and turkey burgers to sides and a selection of vegetarian and gluten-free options. Moonshines include a variety of handcrafted cocktails served in classic jam jars, and the café has a comfortable outdoor patio area where owners can bring their dogs to enjoy the scene. Mellow Mushroom Pizza is a chain that serves traditional, hand-tossed, stone baked classic Southern pizza, along with other Italian specialties. Founded in 1974 in Atlanta, Georgia, Mellow Mushroom Pizza Bakers grew from the humble beginnings of a small pizzeria to a country-wide chain that has locations around America. 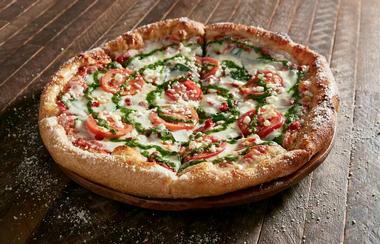 Locally owned and operated, Mellow Mushroom Pizza Fort Worth serves a menu of fresh stone-baked pizzas to order as well as freshly prepared salads, pasta, calzones, hoagies, and specialty pies along with sweet treats and a selection of beverages. 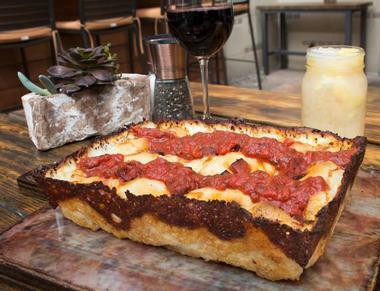 The family-friendly pizzeria has outdoor patio-style seating that welcomes children and dogs. Located in Fort Worth's Cultural district, Michaels Cuisine Restaurant & Bar specializes in contemporary ranch cuisine, serving an innovative menu of modern fare such as soups and salads, burgers and sandwiches, and entrées of steaks, pasta, casserole, crab cakes, fresh seafood, and mouthwatering desserts. The restaurant’s main dining room boasts an extensive collection of contemporary art, comfortable seating, and a casual romantic atmosphere, while the outdoor patio is ideal for alfresco-style dining and welcomes dogs. Michaels Cuisine Restaurant & Bar also offers a catering menu for special events and functions and is open for lunch Monday through Friday and dinner Monday through Saturday. 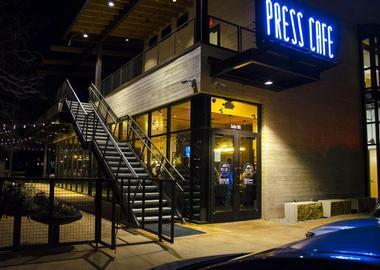 The Press Café is a contemporary café and eatery in a stylish building with fabulous views of the Clear Fork Trinity River and its grassy green banks. Open for breakfast, brunch, lunch, and dinner, the chic café serves a creative menu of innovative cuisine, all freshly prepared using locally sourced ingredients and products. Breakfast and brunch delights include oatmeal, omelets, waffles, and eggs, while lunch and dinner menus boast salads, sandwiches, and café specialties like rotisserie chicken, pan-seared scallops, and fresh fish of the day. The cuisine is accompanied by a selection of wines, signature cocktails, and beers on tap or by the bottle, and the lovely outdoor terrace is ideal for patrons with dogs who want to relax over a drink after walking their pooches. RJ Gators is a friendly neighborhood bar and grill that serves mouthwatering seafood, prime-cut steaks, meaty burgers, and Mexican favorites along with one-of-a-kind dishes and a selection of beverages. The restaurant’s extensive menu has something for everyone, from regular favorites such as burgers and fries, juicy steaks, and fried shrimp to unique dishes like blackened scallops and fried alligator as well as an ever-changing selection of daily specials. The family-friendly eatery hosts events throughout the year and has an inviting outdoor terrace with ample seating where dogs can join their humans for a few treats. 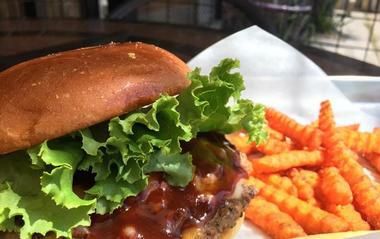 RJ Gators is open for lunch and dinner seven days a week. 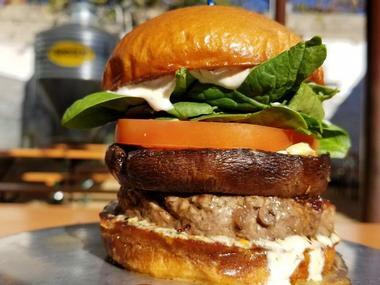 Located on the Corner of Bledsoe and Currie on the outskirts of Fort Worth’s vibrant Design District, Rodeo Goat is renowned for its top-notch burgers, unique craft beer selection, and laidback vibe that draws a loyal following. Diners are greeted with the smoky scent of sizzling burgers from the open kitchen on arrival, and there are plenty of delectable choices, ranging from the Bad Hombre to the top-selling Chaca Oaxaca, which is stacked with crumbly queso fresco, chunky pico de gallo, piquant Tabasco mayo, ripe avocado, creamy queso fresco, and a gooey fried egg. The cuisine is accompanied by an excellent selection of craft brews and creative cocktails, which can be enjoyed in the hip eatery or outside on the covered patio area, which is dog-friendly. 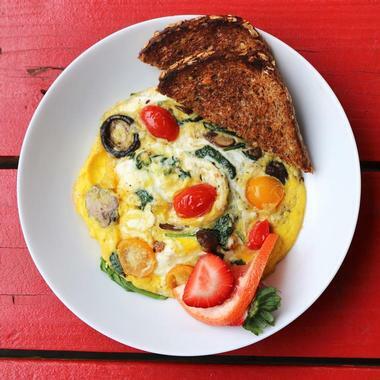 The Spiral Diner & Bakery is a casual neighborhood diner and bakery that serves delicious vegan fare with many allergen-friendly, gluten-free, and soy-free options. 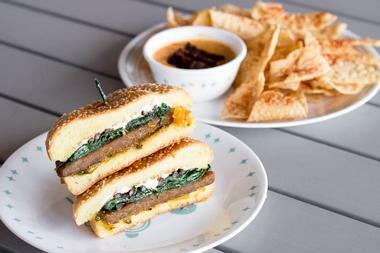 The restaurant has three locations around Texas and serves a 100% plant-based menu that features dishes such as gourmet sandwiches, burgers, small sharing plates and hot entrées, nachos plates, and more. The attached bakery sells a range of freshly baked bread, pastries, biscuits, cakes, and more sweet treats, and guests can enjoy indoor or outdoor dining, which has ample seating and is dog-friendly. The Spiral Diner & Bakery is open for lunch and dinner Tuesday through Friday and for brunch, lunch, and dinner on the weekends. Located on historic Bluebonnet Circle just minutes away from the TCU Campus on South University Drive, the Bottom Bar and Grill is a lively university sports bar that serves a casual pub-style menu along with a variety of draft beer and craft brews on tap. Boasting a buzzing vibe and a relaxed, laidback ambiance, the sports bar and grill serves a menu of classic pub grub, such as burgers and fries, chicken wings, steaks, nachos and tacos, chicken strips, and fried seafood. The full-service bar features an extensive selection of beers and brews on tap and by the bottle, easy-drinking white, red, rosé, and sparkling wines, handcrafted cocktails, and other libations. An outdoor patio area has comfortable seating and welcomes dogs. 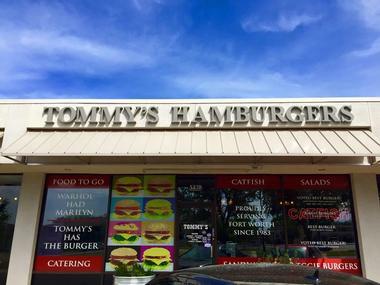 Tommy's Hamburger Grill & Patio is one of three restaurants in the chain around Fort Worth that serve tasty burgers and fries, sides, and craft beers in a laidback, welcoming environment. Located on Forest Park Boulevard and close to the Texas Christian University, the family and dog-friendly restaurant has a large outdoor patio where pooches are welcome. Menus feature favorites such as stacked burgers and thick-cut fries, gourmet sandwiches, sharing plates and baskets, fresh fish and seafood, freshly prepared salads, specialty dishes, and mouthwatering desserts. 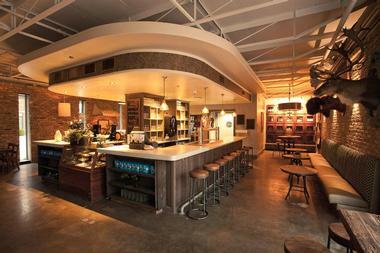 The restaurant also features a handmade concrete bar that is fully stocked with a wide variety of artisan and craft beers and tantalizing wines and spirits for creating signature cocktails.